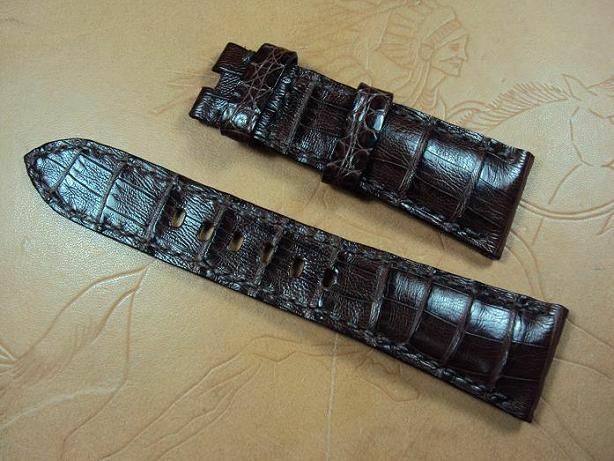 Here are some Panerai custom straps A2011~2021 include three padded deployant clasp crocodile straps which have sold by way of some custom strap orders. 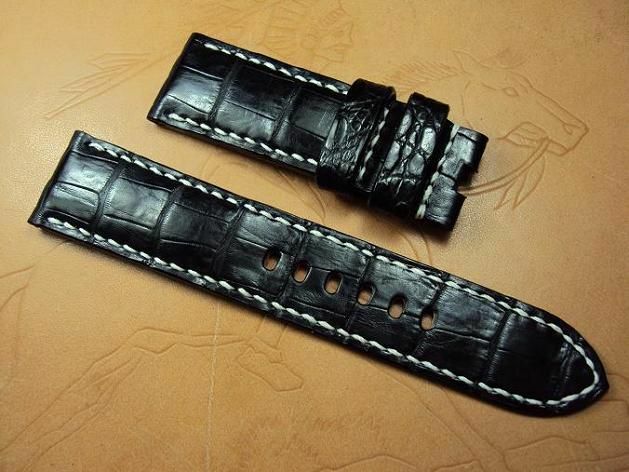 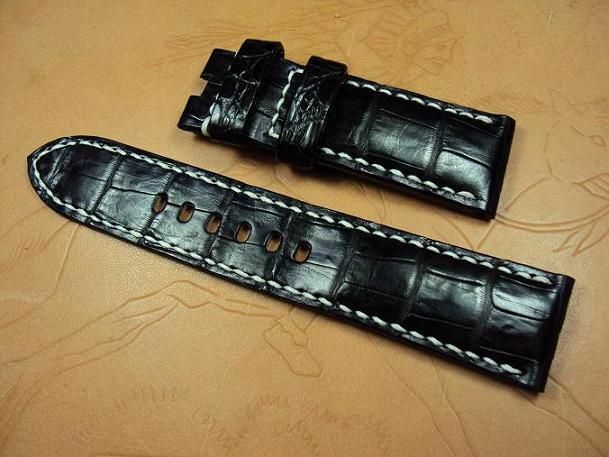 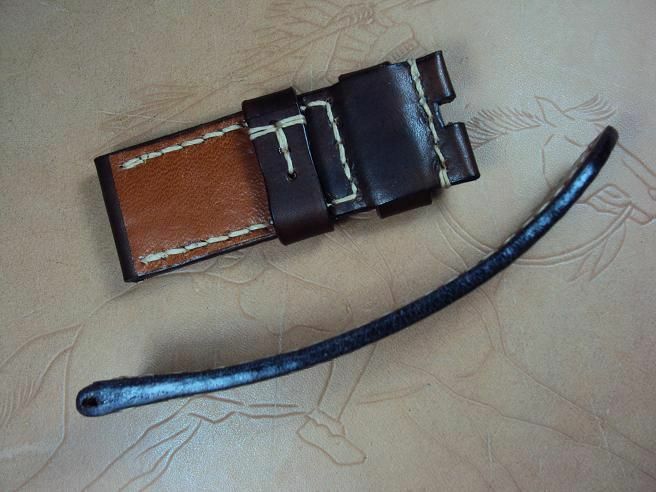 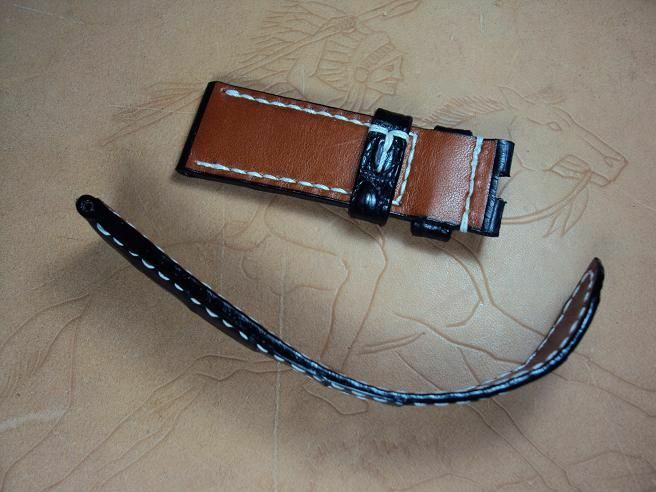 Custom A2011 Panerai deployant clasp padded black crocodile belly strap, 24x22mm, 75x130mm, white stitch. 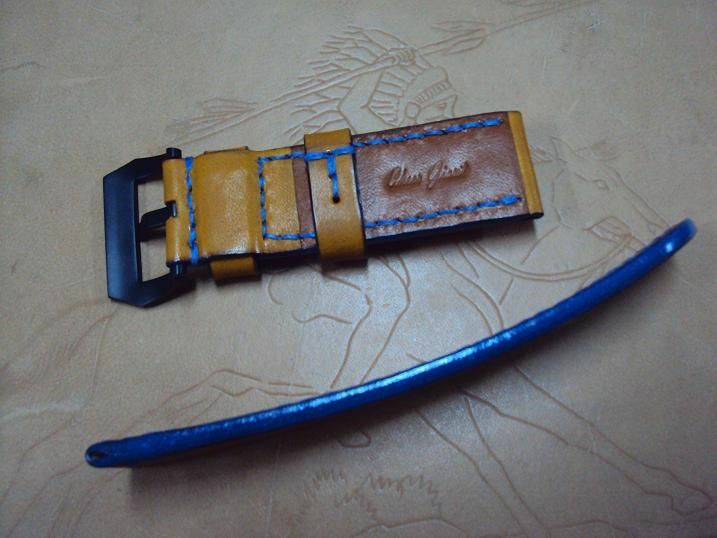 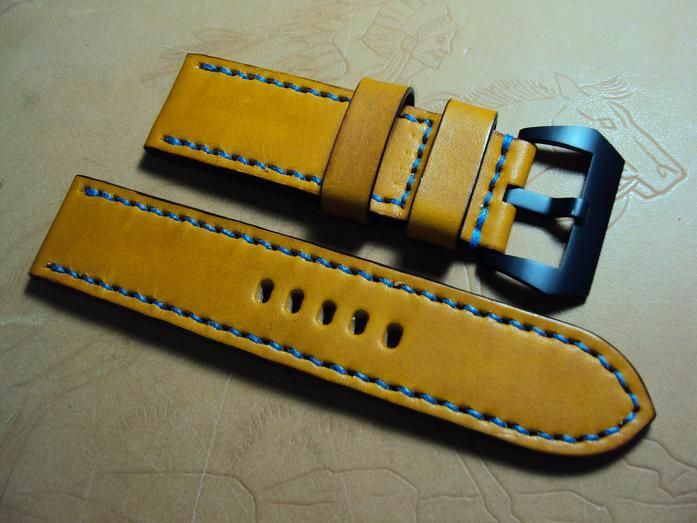 Custom A2012, Panerai coco tan vintage leather strap, 26x26mm, 85x135mm, thick 4mm, blue stitch, blue edge. 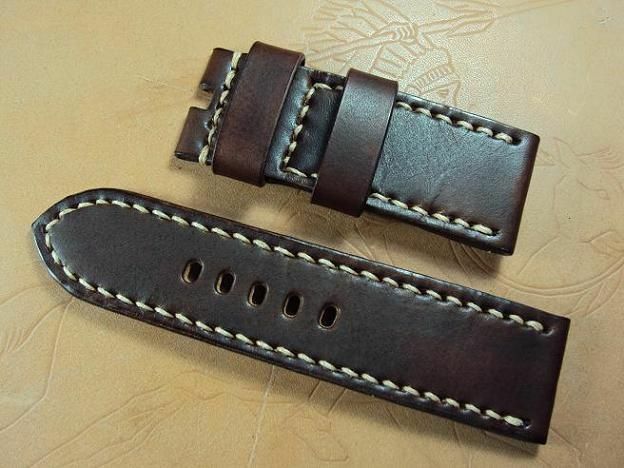 Custom A2013, Panerai chocolate brown vintage leather strap, 26.5x26mm, 75x115mm, thick 4.0mm taper to 3.5mm, cream stitch. 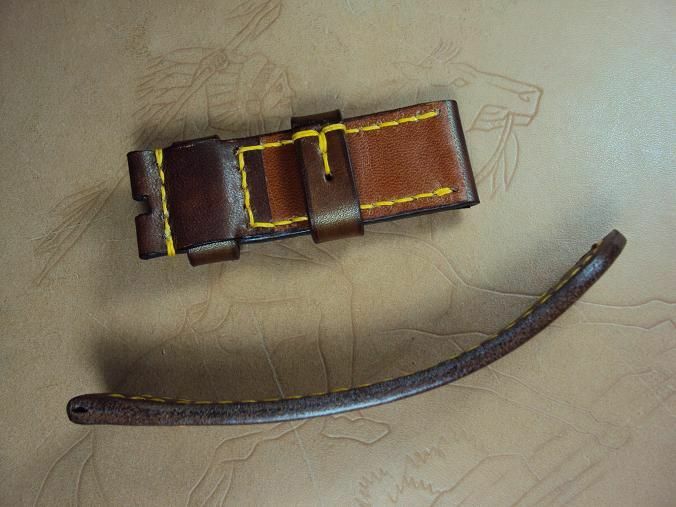 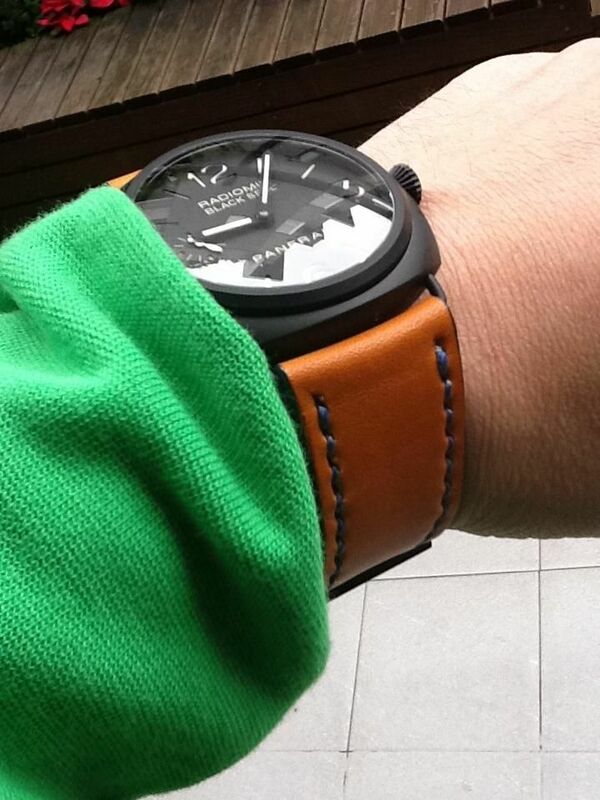 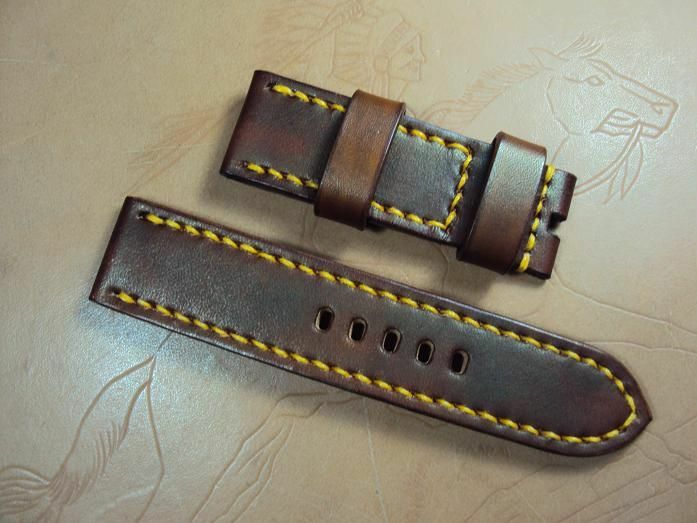 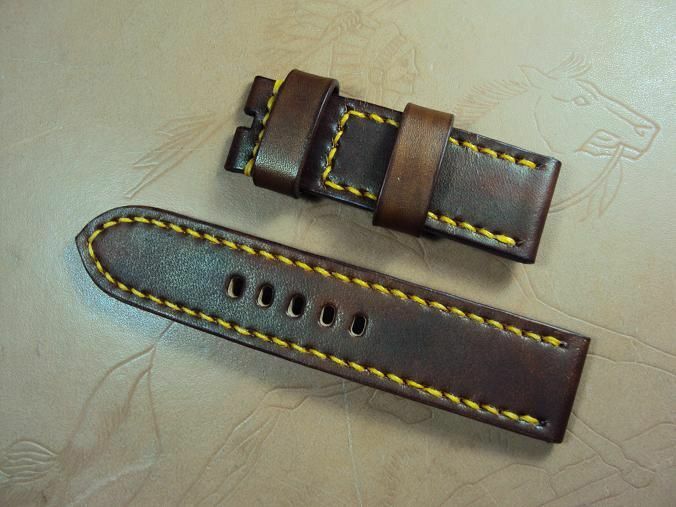 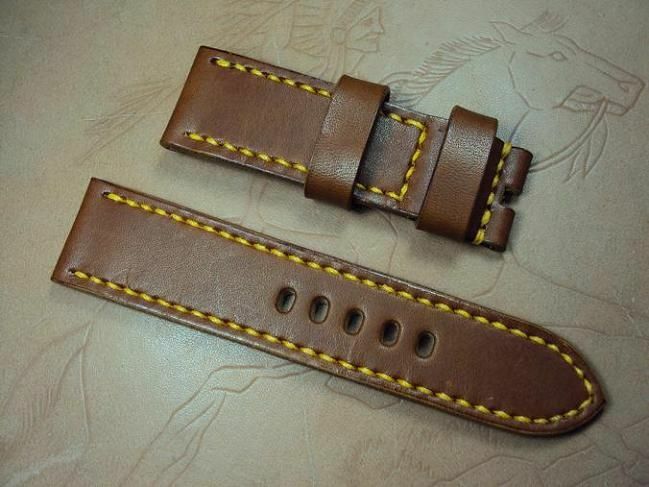 Custom A2014, Panerai honey brown leather strap, 24x22mm, 75x115mm, thick 3.5mm, yellow stitch. 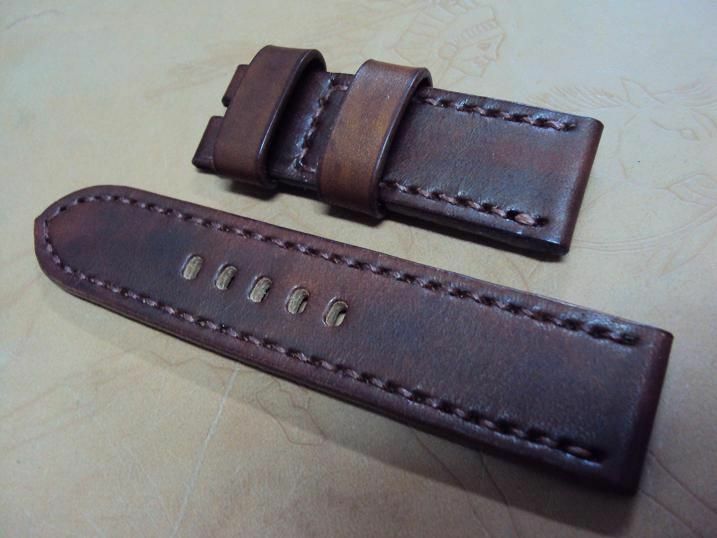 Custom A2015, Panerai choocolate brown grained leather strap, 24x24mm, 80x130mm, thick 6.0mm taper to 5.0mm, one 20mm floating keeper, cream stitch. 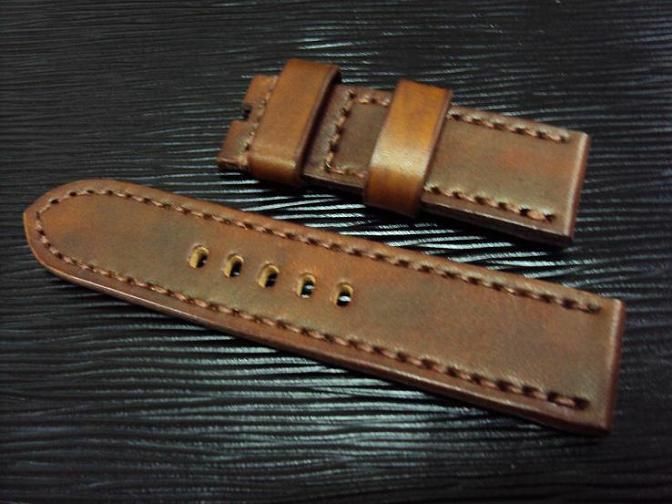 Custom A2016, Panerai chocolate brown vintage leather strap, 24x24mm, 75x120mm, thick 4.0mm, copper stitch. 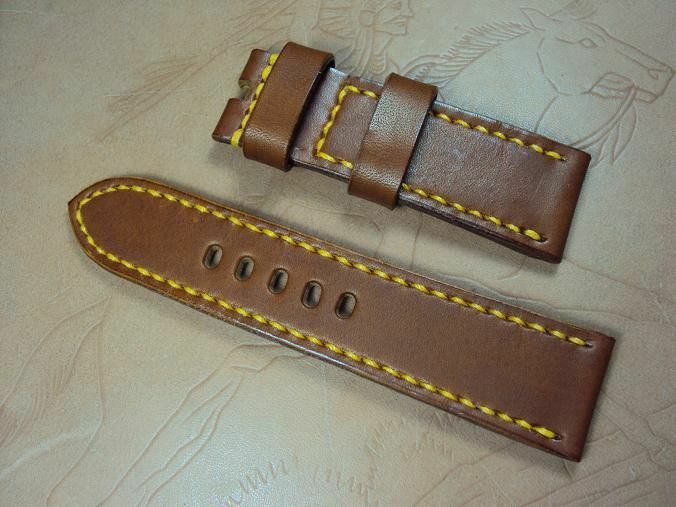 Custom A2017, Panerai chocolate brown vintage leather strap, 24x24mm, 75x120mm, thick 4.0mm, yellow stitch. 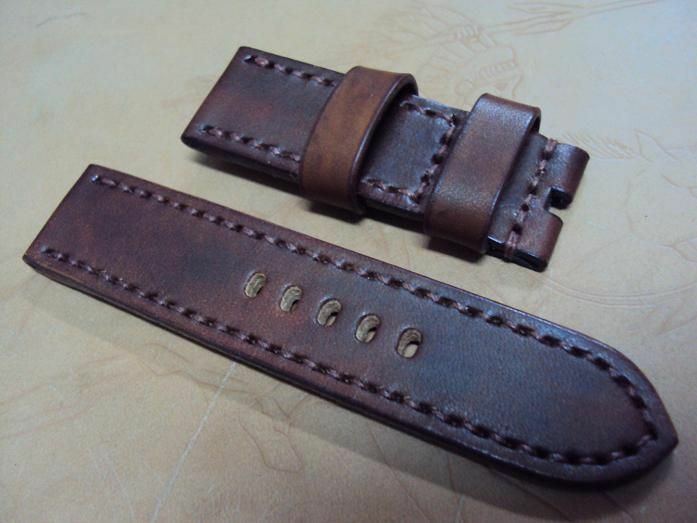 Custom A2018, Panerai honey brown vintage leather strap, 24x24mm, 75x120mm, thick 4.0mm, copper stitch. 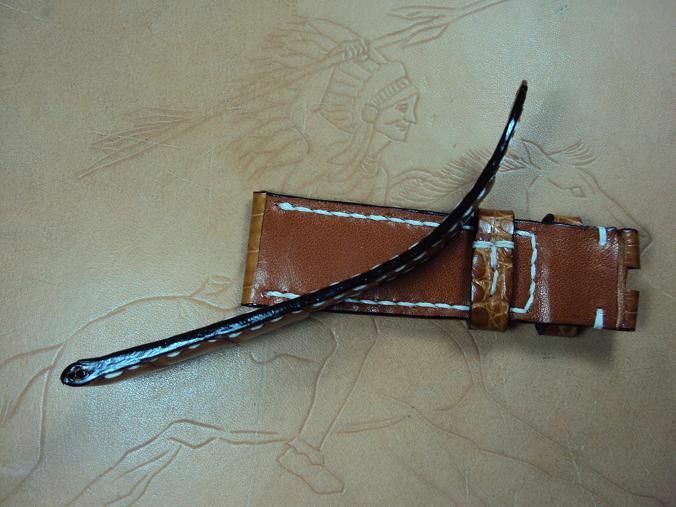 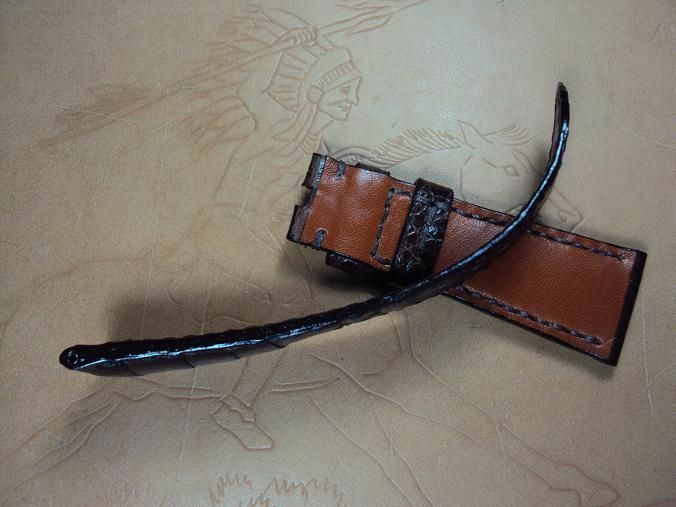 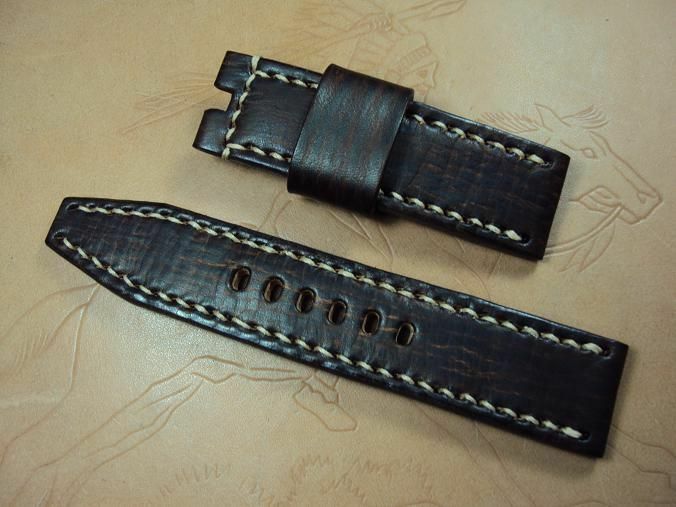 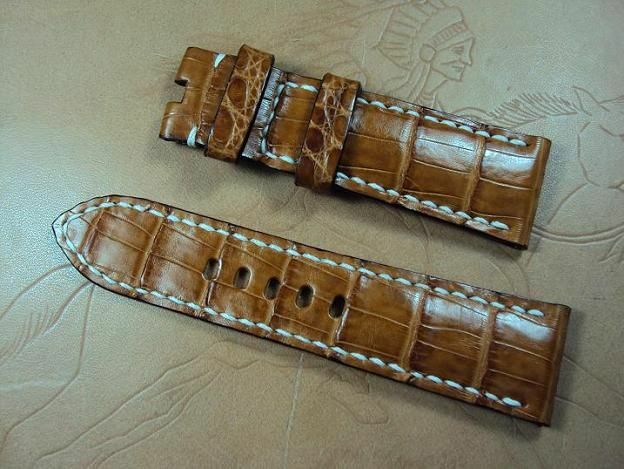 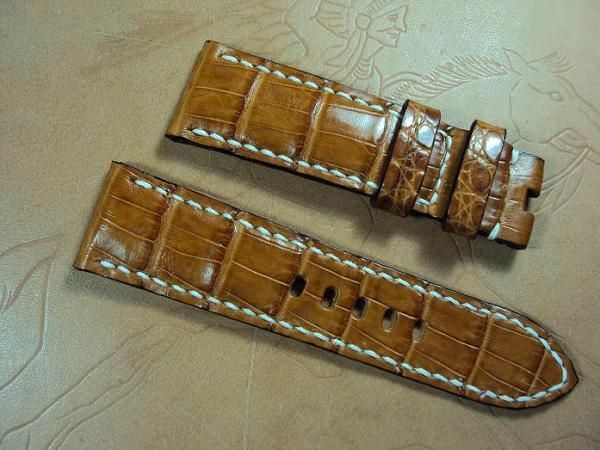 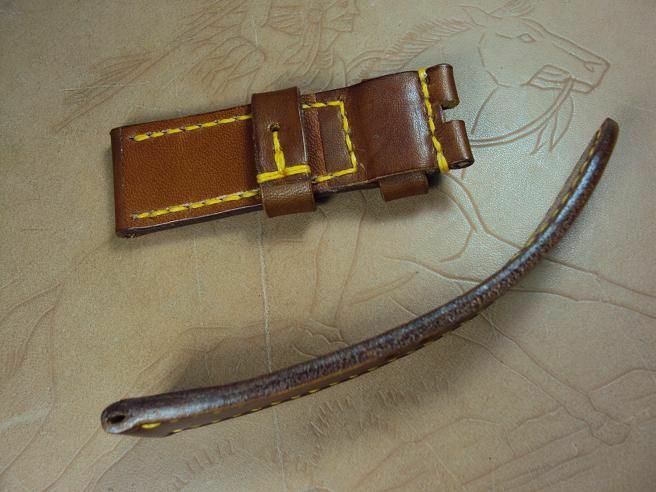 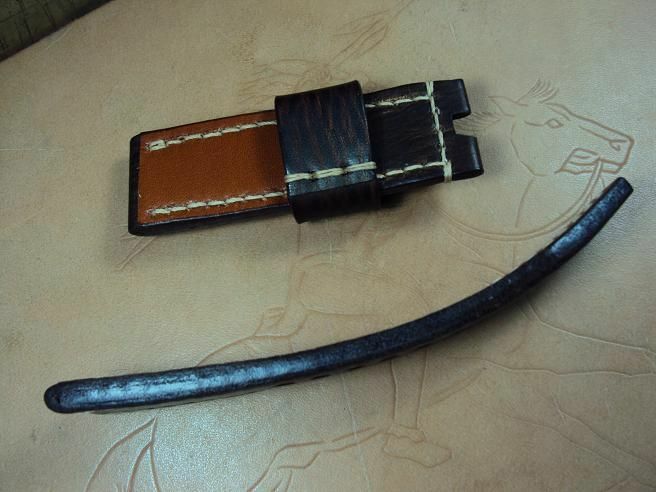 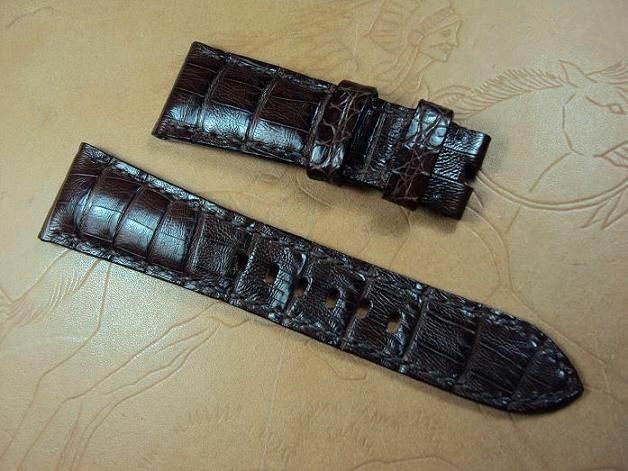 Custom A2019, Panerai padded chocolate brown crocodile strap, 24x21mm, 80x110mm, white stitch. 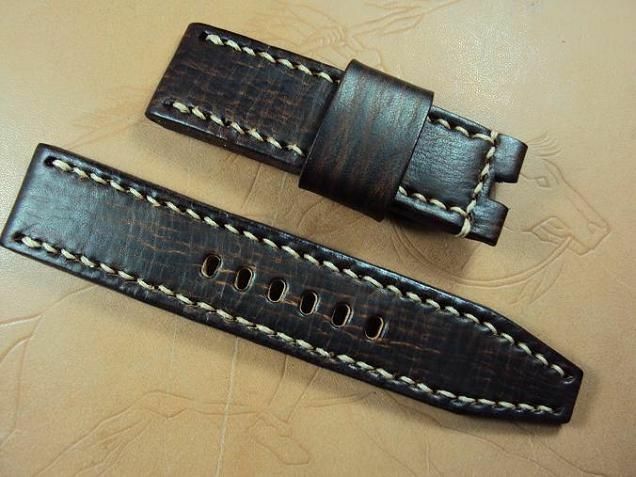 Custom A2020, Panerai Radiomir deployant clasp padded dark brown crocodile strap, 26x20mm, 75x130mm, dark brown stitch. 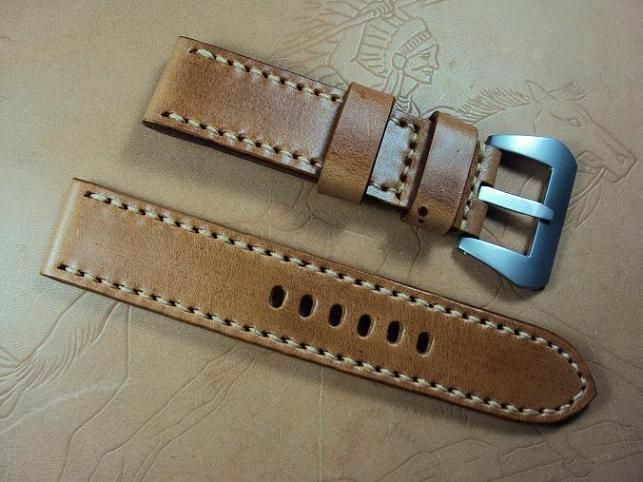 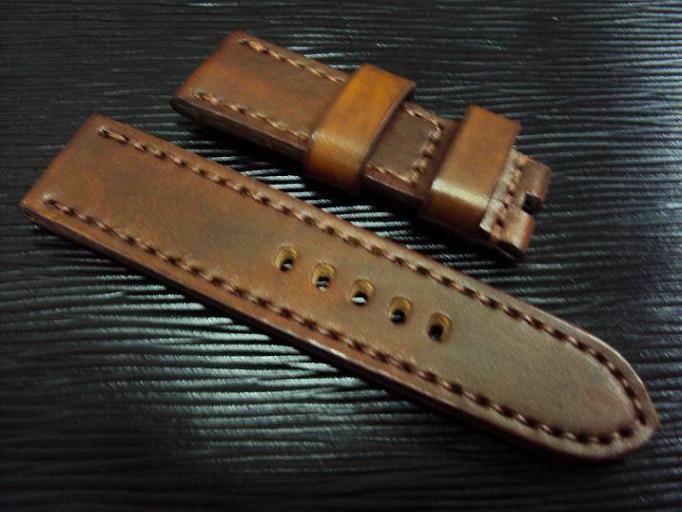 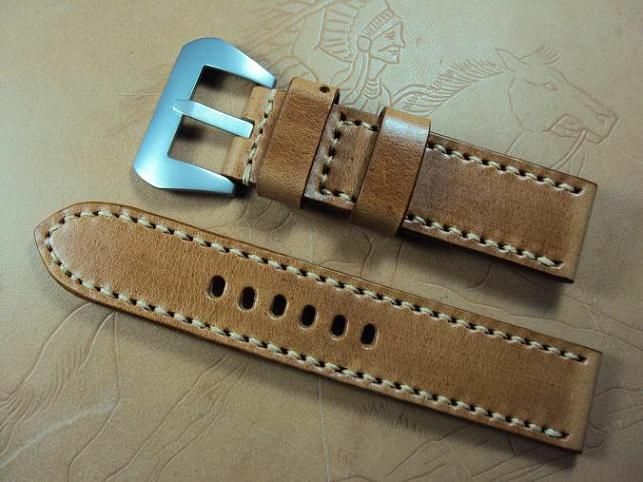 Custom A2021, Panerai Screw in GPF style buckle tan vintage leather strap, 24x24mm, 85x135mm, thick 4.0mm, cream stitch. 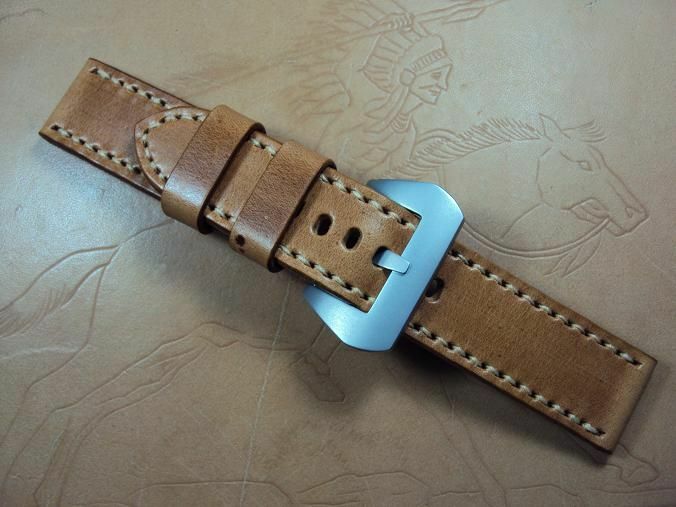 No including the GPF style buckle which is an optional item.